My little one absolutely LOVES bath time. As soon as the bath water is turned on, she is screaming with joy and running toward the bathroom. Afterall, a baby's "job" is to have fun when it's time to get clean... a parent's job is to make sure what ever products used are safe, effective, and gentle on baby's sensitive skin. 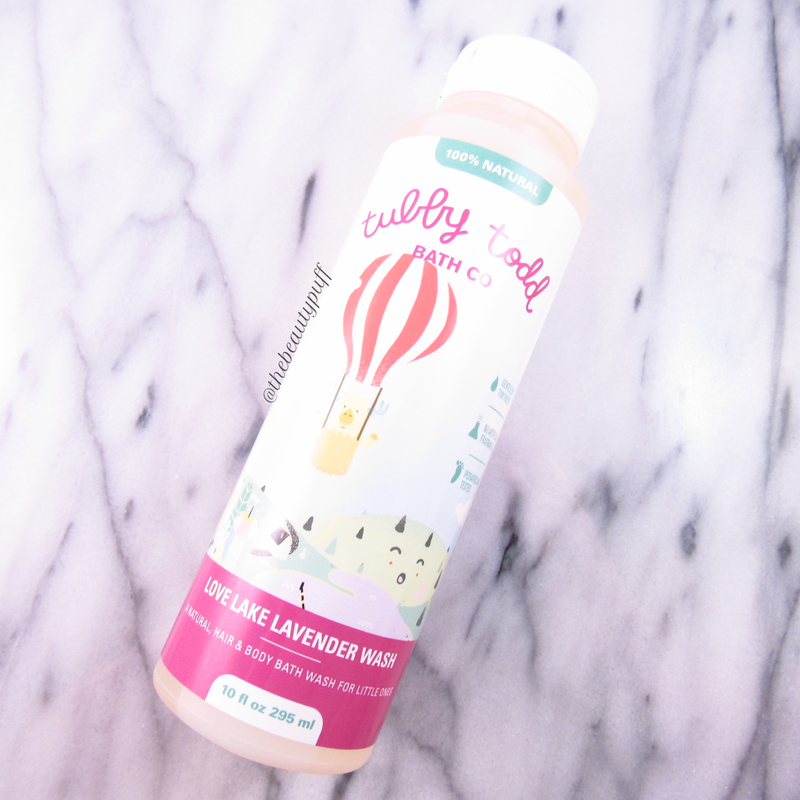 That's why I was so excited when I discovered Tubby Todd - an all natural line of baby products specifically designed for sensitive skin with 100% natural ingredients. After a long day, when it's time to wind down, there's nothing like the scent of soothing lavender to calm baby and have a quiet, peaceful bath. Who am I kidding - there is nothing particularly peaceful about bath time. There is splashing, giggling, little limbs waving about and a mom and dad grasping for any chance to get those little limbs clean! It is lots of fun, but can be quite an experience! Tubby Todd baby wash has made it easy to get the job done because we aren't constantly reaching for more product! A little goes a LONG way. The first time we used it, there were so many bubbles you would have thought we had the bubble bath as opposed to baby wash! Live and learn. There's nothing wrong with some nice clean fun right? Tubby Todd products are not only fun and effective, but they have quality, natural ingredients that are gentle for baby's skin. There are no toxins, gluten, parabens, sulfates or artificial colors or fragrances. All Tubby Todd products are made in the USA and cruelty free! The bottles are bpa free and shape reminds me of the containers bubbles come in. It's a little whimsical twist on an extremely functional, user-friendly design. The cap flips up for easy dispensing and can easily be closed with one hand for even easier maneuvering. It has made bath time easier so we can spend more time having fun! Afterall, a happy and clean baby = a happy Mommy and Daddy! *Disclaimer - This product was sent to The Beauty Puff for review.